If you’re building a 9th Gen Intel PC and need your motherboard to deliver real bang for buck then the ASRock Z390 Extreme4 is a good place to start. 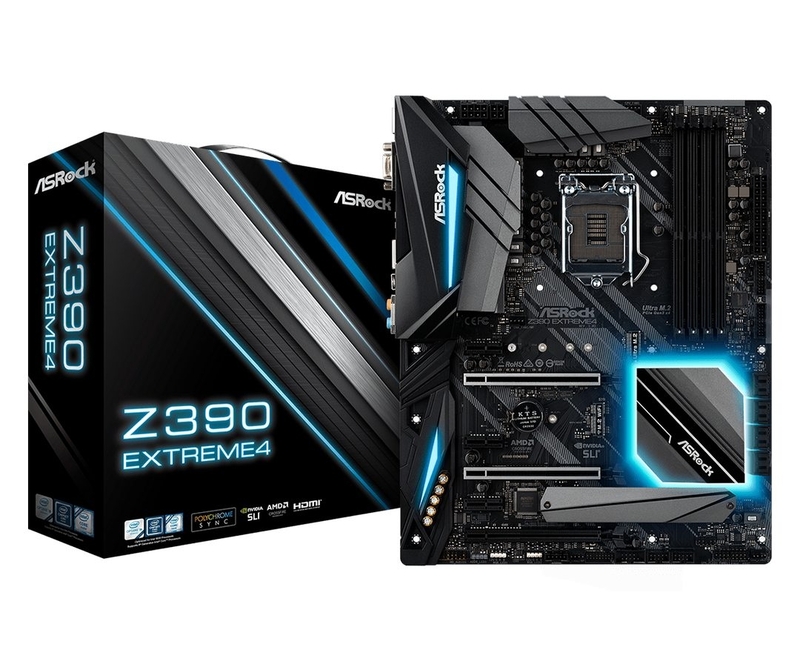 The ASRock Z390 Extreme4 is an enthusiast gamer’s board that comes with all of the essentials such as Gigabit LAN, 2xUltra M.2 slots, ALC1220 audio with Purity Sound 4 enhancement, RGB lighting and extensive USB connectivity. The feature set is balanced and whilst it doesn’t come with WiFi/Bluetooth, an upgrade is only $30 away and you can do it yourself at any time using the M.2 (Key E) slot. 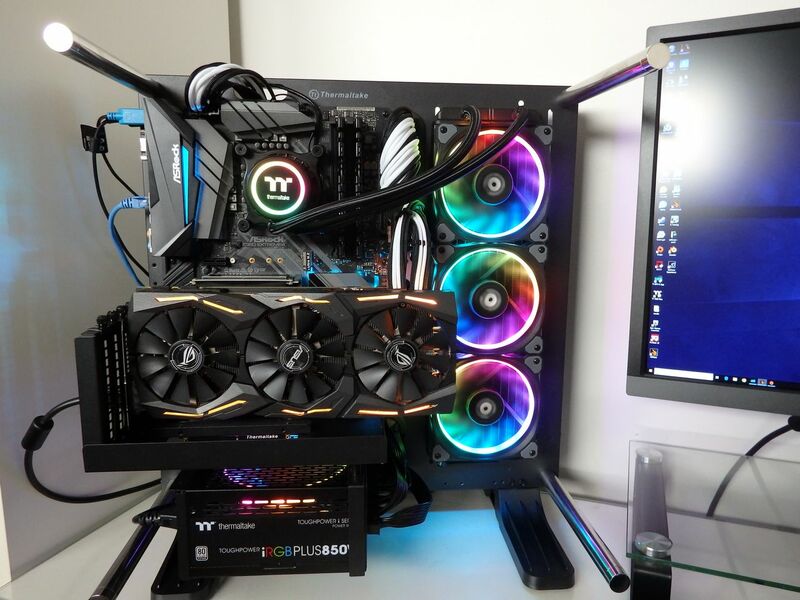 We tested this motherboard with the Intel i9-9900K CPU and the test platform didn’t disappoint, delivering solid performance in creative and gaming workloads. 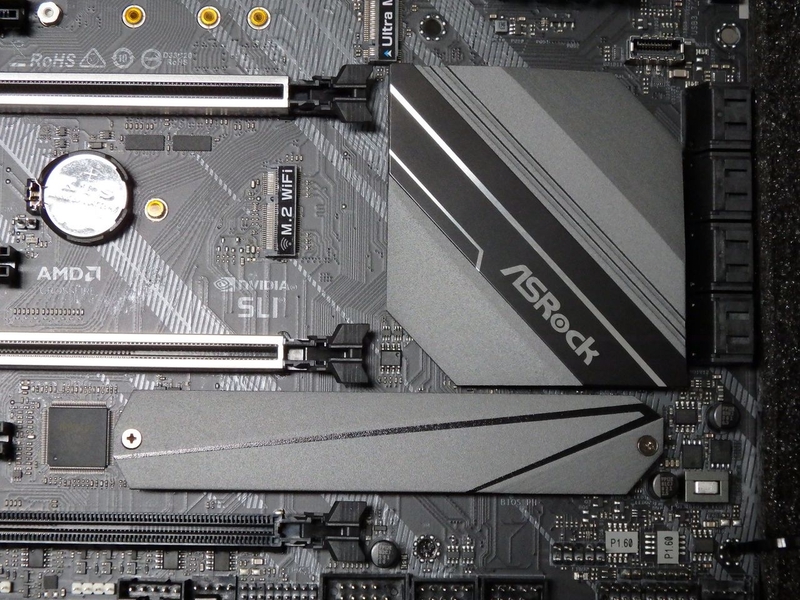 The Z390 Extreme4 from ASRock is a Socket 1151 motherboard supporting DDR4 memory up to 4300 (and more) via overclocking. 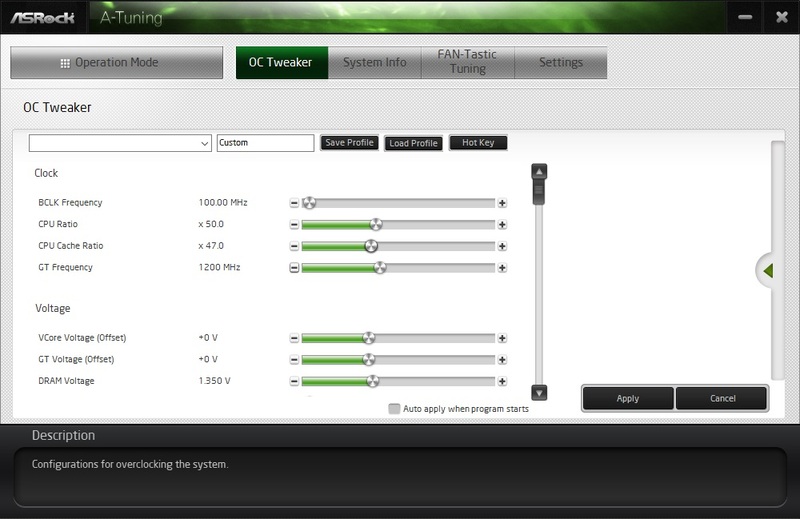 Multi GPU support for SLI and 3-way Crossfire is available for high-end systems as well. 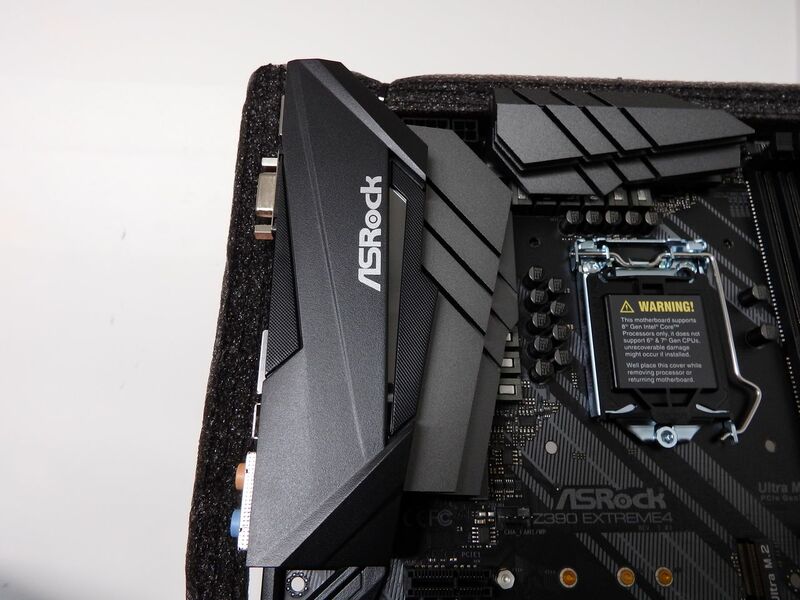 Despite not having WiFi included in the offering, ASRock have provided an M.2 (Key E) slot in the centre of the board and the appropriate antenna holes on the rear I/O shield so that it can be retro-fitted without looking like an afterthought. The graphics output support includes HDMI, DSUB and DisplayPort – on a board like this, the choice to include DSUB seems odd but could be handy if troubleshooting or needing to use an older monitor/projector/TV as graphics cards don’t typically include this output anymore. The audio offering is based on the Realtek ALC1220 Codec which is found on most gaming-grade motherboards. 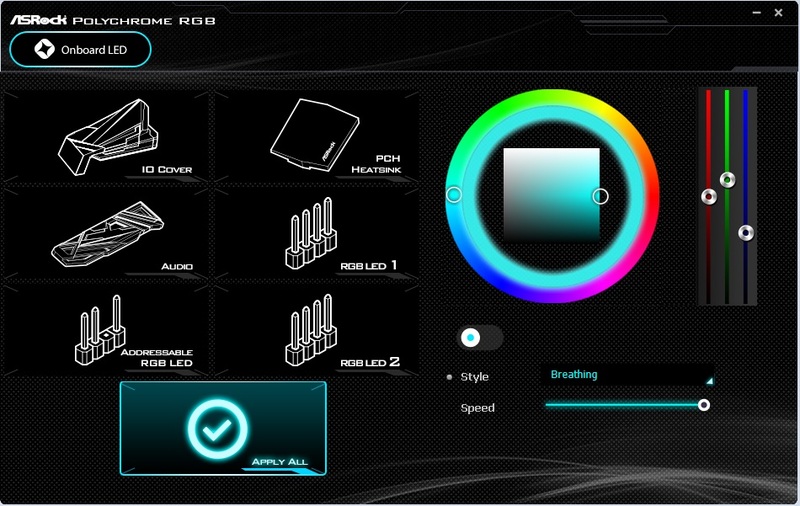 ASRock has enhanced this with their Purity Sound 4 platform. The audio output delivers 7.1 channel HD sound and includes a 120dB SNR DAC with Differential Amplifier. 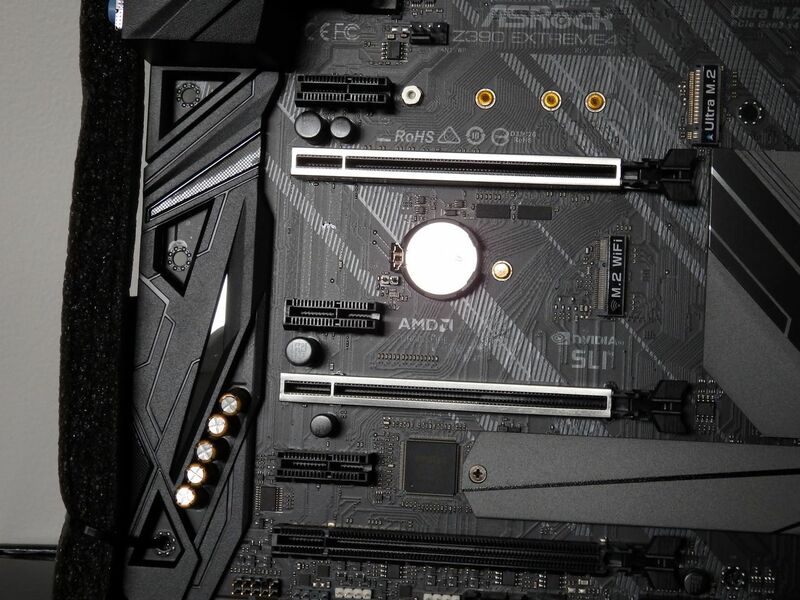 As per other ASRock boards, the audio solution includes Nichicon fine gold series audio capacitors and a NE5532 premium headset amplifier for the front panel audio. Storage options include 8x SATA3 and 2 x Ultra M.2 (PCIE Gen 3 x4 & SATA 3) slots while there is also no shortage of USB connectivity with 9 USB 3.1 Gen1 and 2 USB 3.1 Gen2 10Gb/s ports available. There is also a single Intel Gigabit LAN port that supports Electrostatic Discharge (ESD) protection. As with most motherboards released these days there is RGB support and we’ll talk about the ASRock Polychrome RGB later on. 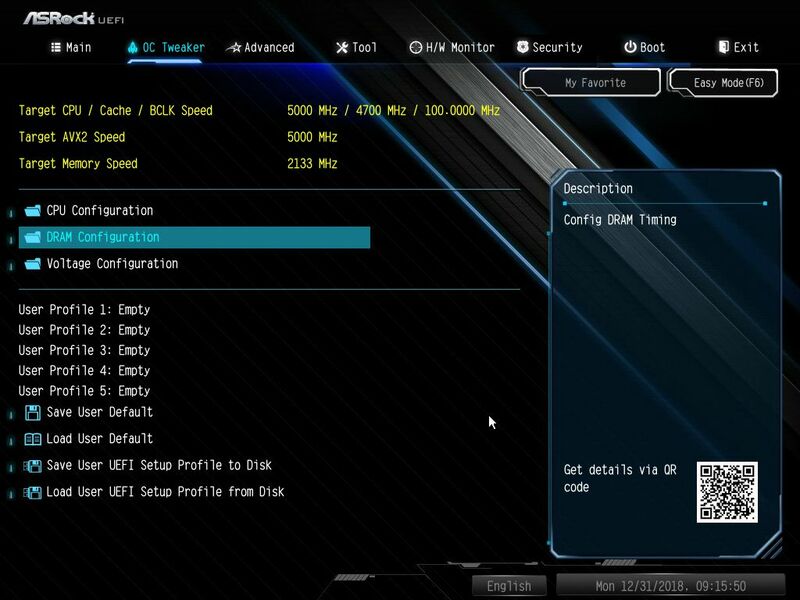 Like other Z390 boards, you can also use Intel Optane memory to give the system a performance nudge too. As usual, we see a sensible and well considered layout with all headers in logical places designed with the system builder in mind. It won’t be hard to keep your system neat with concealed cables in a standard ATX case. M.2 slots are placed above the PCIE x16 slot and below the PCIE x8 slot. The lower M.2 slot has thermal shielding as it could be exposed to additional direct heat from a second graphics card – which makes sense. The Ultra M.2 slot in the center of the board above the PCIE x16 slot doesn’t have any risk of direct heat. In a single graphics card setup, both M.2 slots are well placed to avoid thermal issues. Fan headers can be found on the top and bottom edges of the board with one more in the middle, a little left of center. Interestingly, there are none on the upper right edge of the board. The number and placement of the headers are both adequate and should be enough for most system builders. RGB headers are on the bottom edge of the board for easy access and cable routing/concealment. The M.2 Key E location is easily identified by the label “M.2 WiFi” and located next to the battery under the PCIE x16 slot. This means that you will need to remove the graphics card to access the M.2 WiFi slot or pull the battery but these components had to go somewhere and it’s common to see the battery located here. I didn’t have any issues fitting the water cooler or installing the CPU – the socket area is clear of obstructions and the heat sinks subtly step down towards the socket. 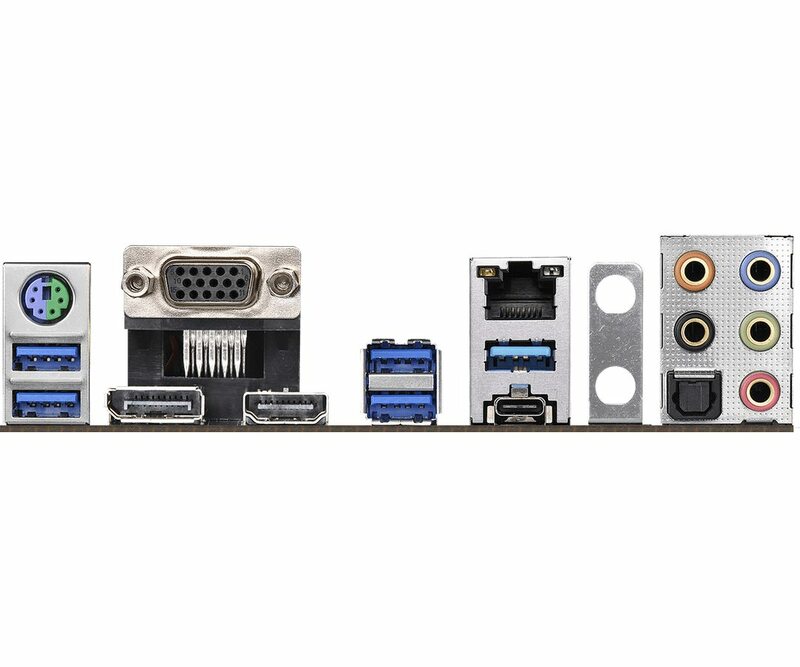 8xSATA 3 ports shouldn’t be overlooked and people that might want to use this platform in conjunction with a fully loaded ATX case with 8 SATA III devices given the creative potential of the i9-9900K. 2xUSB 3 headers and a type-C header have been placed centrally on the right side of the board for easy access and cable routing in most standard cases. Ideally, you would connect these, zip tie them together and feed them through the same routing hole as the 24pin power cable. The Type-C cable could alternatively be easily routed with the SATA cables as well. These headers are in the vicinity of the RAM slots but have been kept far enough away so as not to make installing or removing memory modules difficult. 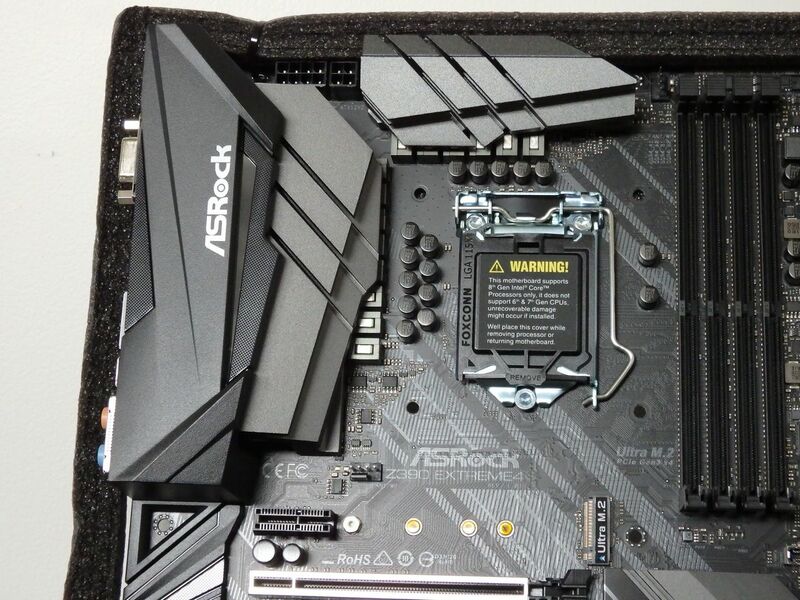 I’ve had several emails from readers asking about ASRock build quality, specifically if we’ve ever had a board fail. 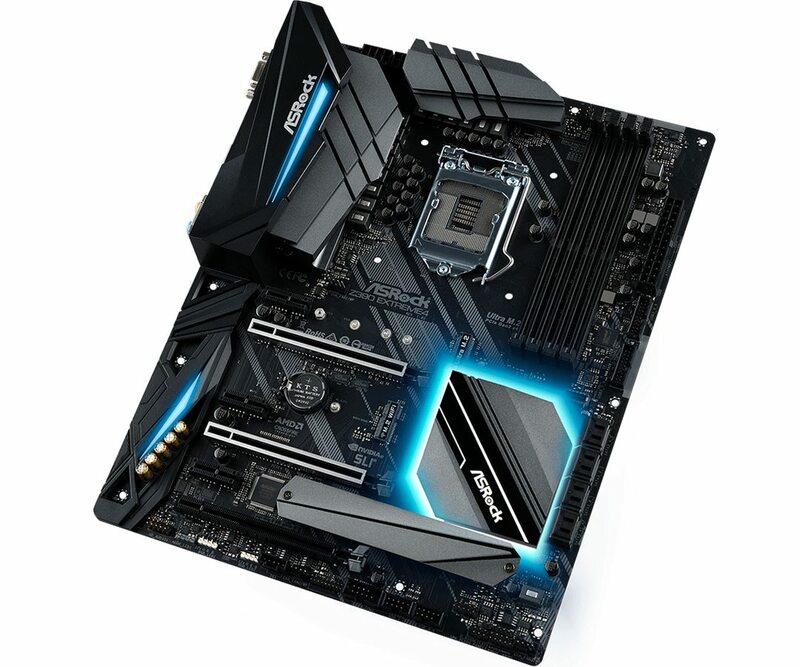 We first started using ASRock motherboards in our testing when Ryzen 5 first generation CPUs were released in April 2017 with the ASRock Fatal1ty AB350 Gaming K4. We then used the X399 Taichi with our Threadripper 1950X platform followed by the A320M HDV, B450M Pro4 and X470 Taichi Ultimate, prior to this motherboard. That makes six ASRock motherboards in total and I can confirm that we’ve never had a single issue with any of them. 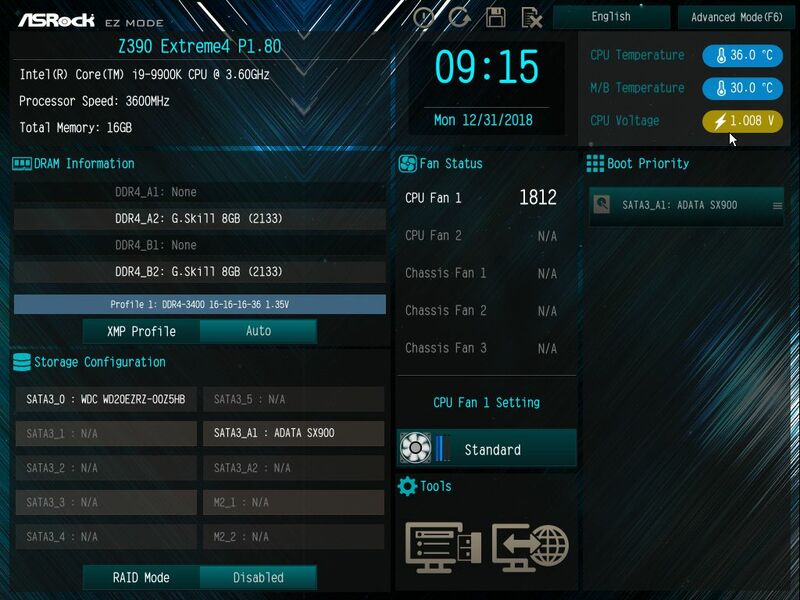 The X399 Taichi has been running a constant 3.9GHz overclock (all cores) on our 1950X CPU since October 2017 without showing any stability issues whatsoever. 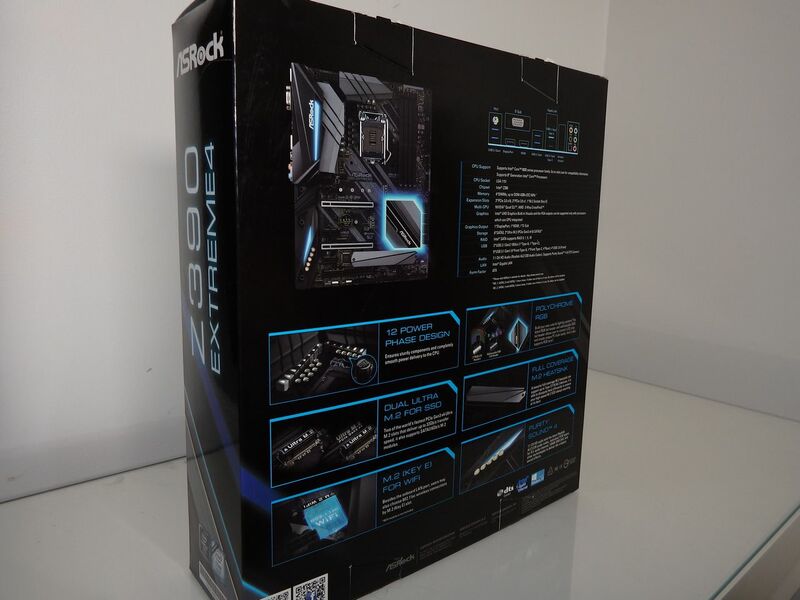 The ASRock boards have held up to intensive use during our time with them so I don’t have any first hand reason to doubt the build quality. 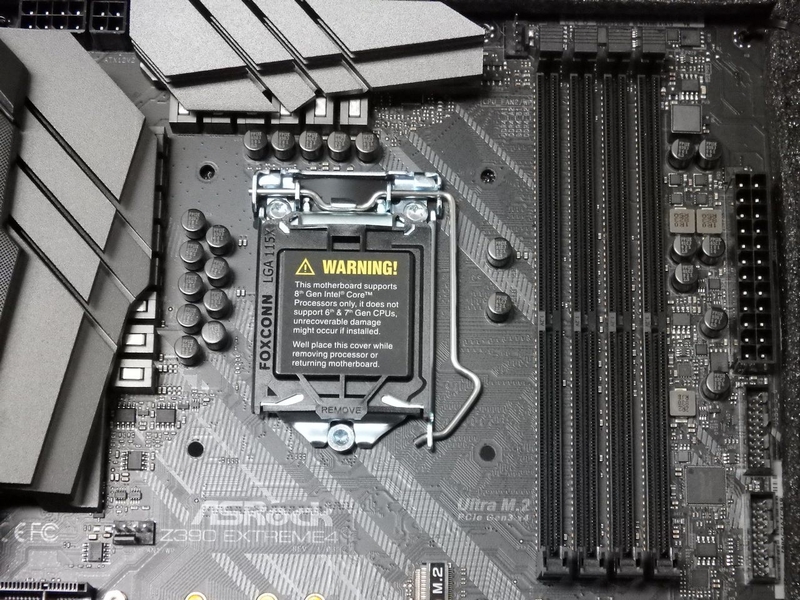 ASRock have implemented their steel slot protection for the PCIE slots to prevent both interference and physical damage. We also see the Premium chokes on the VRM and memory power delivery, dual stack MOSFETs and 12K Nichicon black capacitors. The PCB incorporates audio isolation shielding and ESD shielding around the rear I/O ports. 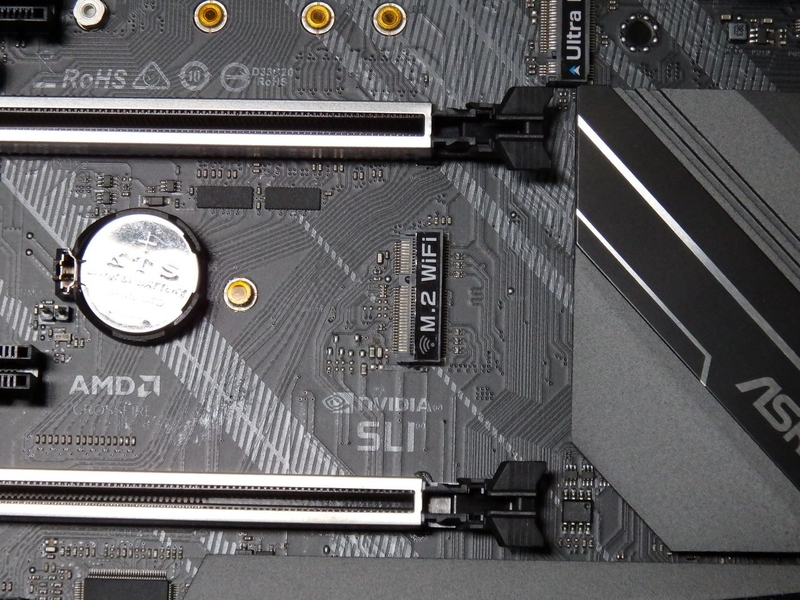 The construction, technology and design of the Z390 Extreme4 is consistent with the other boards I’ve seen – probably more in line with the Taichi series than the lower end boards we’ve tested – and it didn’t feel fragile or cheap when installing the motherboard on our test chassis. The packaging and protection for transit is what I’d consider above average in that the board has protective foam and was secured to the foam with zip-ties. I’d typically associate this packaging attention to detail with a premium board. It’s also backed by a 3-year warranty. 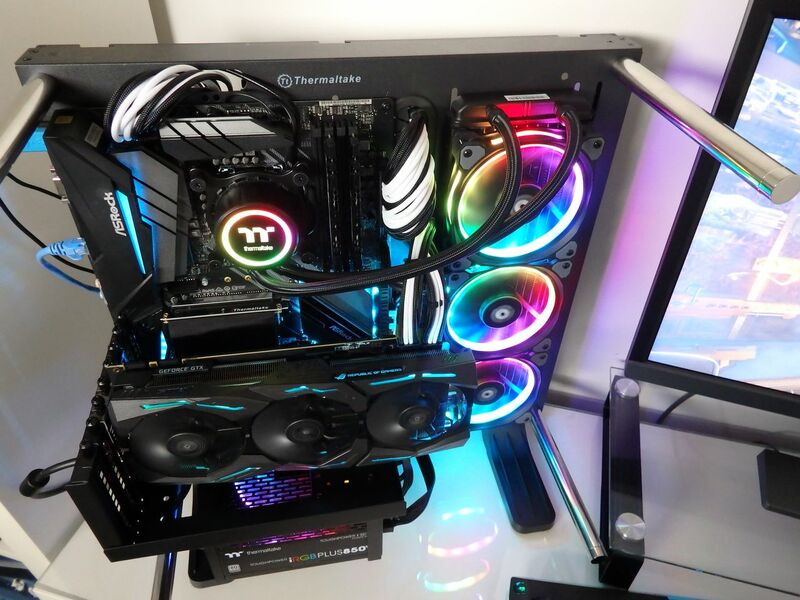 The test platform was mostly new thanks to Thermaltake. The specification is below. Other than two noted lock-ups that I don’t think were actually the fault of the motherboard, the system ran well, delivering snappy performance and feeling very responsive. The first lockup was during the installation of the utilities and drivers, the other was what I’d consider random and occurred about 15 minutes after running a Blender benchmark. I was unable to reproduce these lockups and they didn’t appear to be thermally related. Gaming, media, productivity and creative functions were all optimal on the test platform. The Purity 4 audio platform that uses the ALC 1220 codec is something I also appreciated in my time using the board. Music, movies and games all sounded good through both Audioengine A5+ speakers and Blue Satellite headphones (connecting direct via 3.5mm jack). 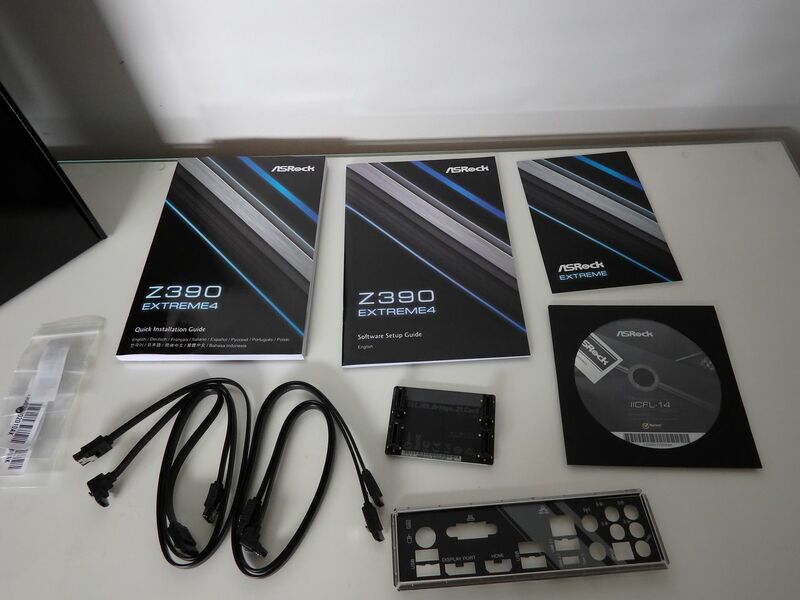 The Z390 Extreme4 delivered good performance in work and play for a good price without feeling like there were any compromises in audio, networking, storage transfer speeds or other performance. The board just worked as expected and was a pleasure to test. We tried 3 different RAM kits and didn’t have a single issue with compatibility nor did we have any issues with USB peripherals in the BIOS. The included software utilities are relatively basic but they work. 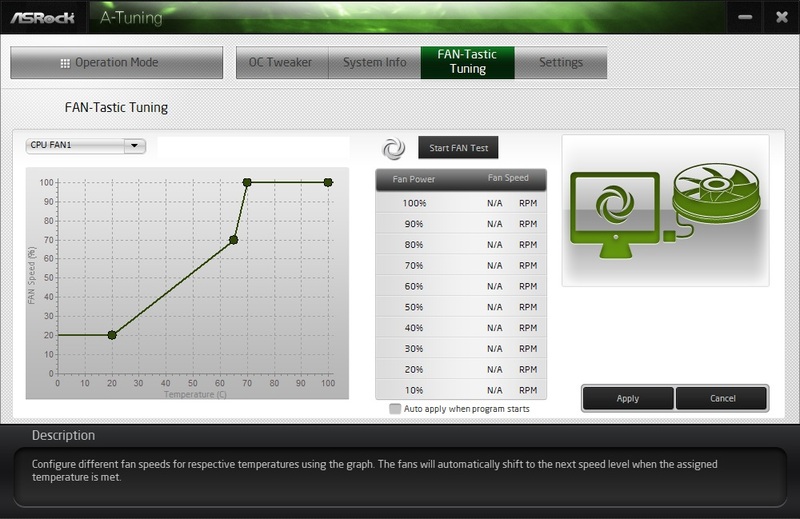 There is A-Tuning to manage the fan profiles and performance/overclocking. 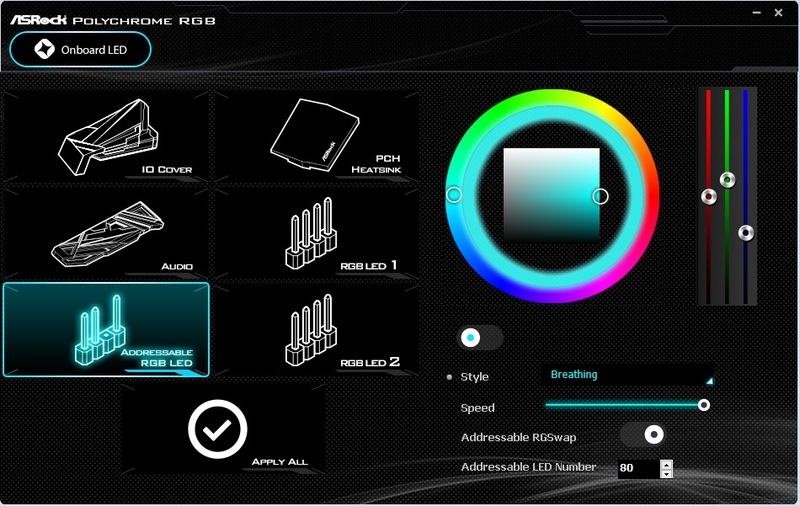 ASRock Polychrome RGB facilitates the use of the RGB lighting and headers with different functions available. You can also disable all lighting for a stealthy rig. The software is easy to use and I didn’t have any issues with it. 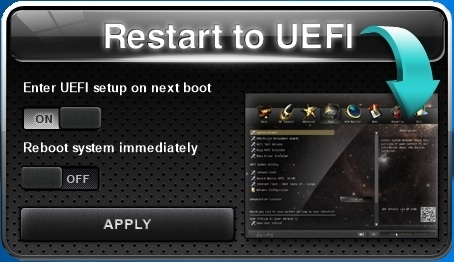 Restart to UEFI is a basic app but an important one if you use fast boot. 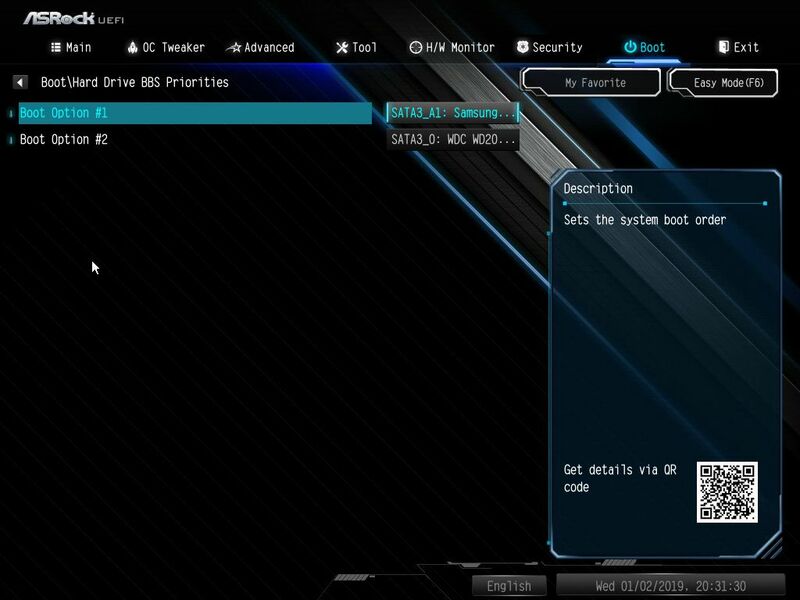 You can simply select the slider to enter the UEFI for BIOS changes on the next reboot here and then you don’t have to worry about mashing that DEL key after doing a restart to access the BIOS. I didn’t have any issues with the BIOS and found it functional. It’s also worth noting that there are 2x 128MB AMI UEFI BIOS on the board with one as the main BIOS and the other as a backup BIOS. 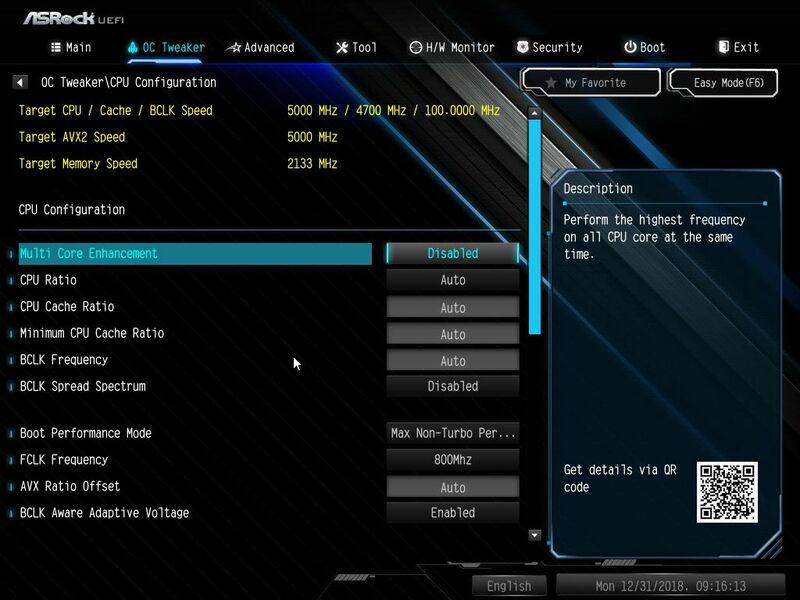 When using the ‘Auto’ settings, the ASRock Z390 Extreme4 had a higher peak power draw by up to 15-20W than the ASUS MAXIMUS XI Gene when using the ASUS ‘Auto’ defaults. The ASRock VRM heat sinks were also hotter to touch but we noticed that the Cinebench scores were consistently a few points higher which made it seem more aggressive out of the box. 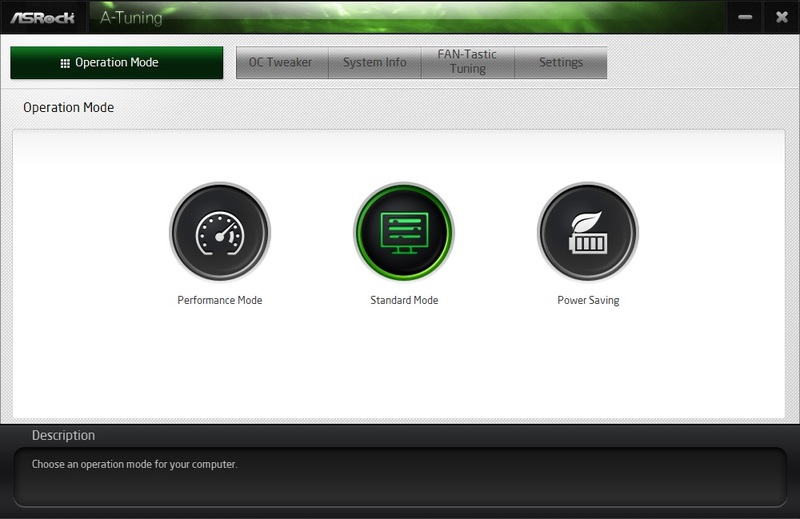 Manufacturers’ use of ‘AUTO’ in BIOS performance settings has made the task of comparing motherboards more difficult when seeking an even comparison, due to their different implementations and design decisions. 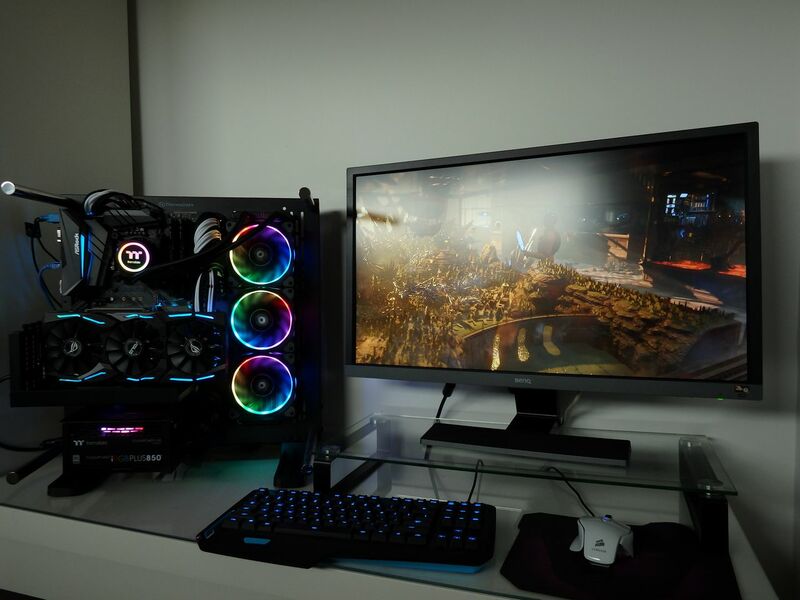 We achieved the same overclock of 4.9GHz (all cores) and blended 5GHz(3 cores)/4.9GHz (5 cores) on our Intel i9-9900K on both the Maximus XI Gene and the ASRock Z390 Extreme4. Synthetic benchmarks were within margin for error between the two Z390 boards and gaming benchmarks (in-game benchmarks) were virtually identical between the averages over 3 runs. The 4.9GHz overclock across all cores was benchmark stable whilst the 5GHz “blended” overclock was game stable and not up to the task of surviving CPU intensive benchmarks. My all-core 5GHz overclock across all cores was boot stable but not reliable beyond that and the CPU temperatures were too high for my liking to push it further. With more tuning, perhaps better cooling, a higher overclock *might* have been possible on both boards but out results were at least consistent in terms of a stable and a semi-stable overclocking configuration. One thing I’d note is that the VRM heat sinks can get hot on the Z390 Extreme4. This means that if you are buying one, make sure you have active airflow over the socket area, particularly if you have a water cooler. 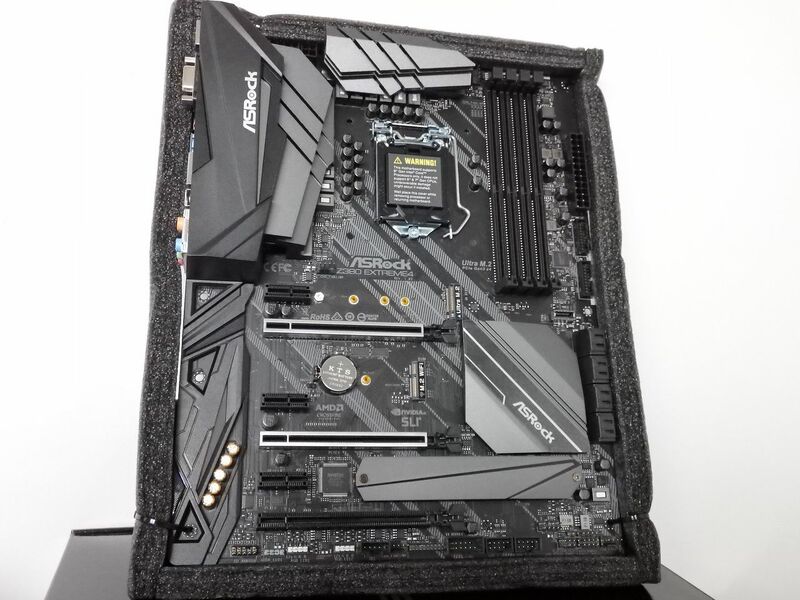 It doesn’t have to be high airflow but I’d recommend that anyone overclocking a 9900K on this board should make a special effort to direct air at the VRM heat sinks. The pricing is very reasonable to the point of being attractive. 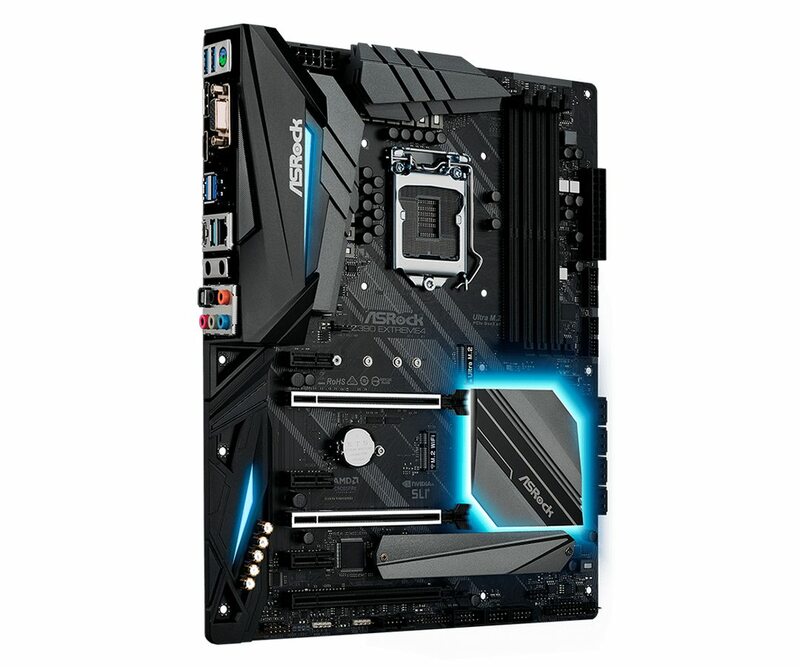 $289 is a compelling price for a full sized ATX Z390 motherboard that has the ALC 1220 audio chipset and support for both CROSSFIRE/SLI multi-GPU technologies. I rarely use WiFi on a gaming PC and occasionally use Bluetooth to connect an XBOX controller so the saving of not implementing the WiFi/BT module is a valid one based on my use case. It’s also nice to know that the rear I/O shield has the antenna holes for a WIFI upgrade later. Essentially, ASRock isn’t forcing me to pay for something I’m not going to use but at the same time, giving me the choice of using it later if my needs change. This is a good, honest $300 motherboard for people wanting to build affordably around a 9th generation Intel CPU. Performance tweaks are aggressive out of the box using the default settings which is good news for those wanting to ensure they get value from their CPU but don’t really want to manually tweak or tinker. The included utilities are basic but they work as advertised and didn’t have any stability issues. I liked the overall aesthetic of the board and the features included. The Purity 4 audio is also well suited to gamers. 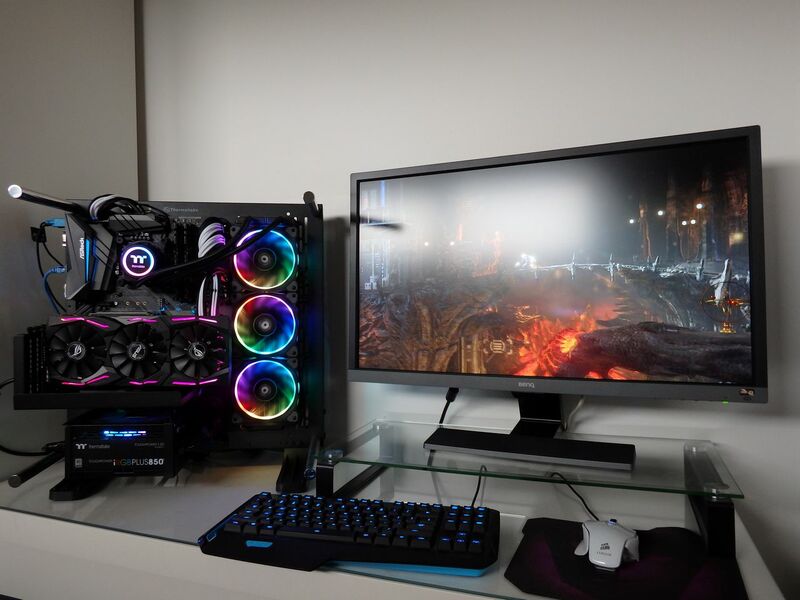 PC Gaming on this motherboard was a lot of fun and the i9-9900K made sure that we had the best experience possible from a platform perspective. Everything else is there with 8xSATA 3 ports and 2x M.2 Ultra ports for storage or Optane to allow the platform to grow. The ESD and physical protection of “steel slot” enhancement on the PCIE slots mean that this board should go the distance. 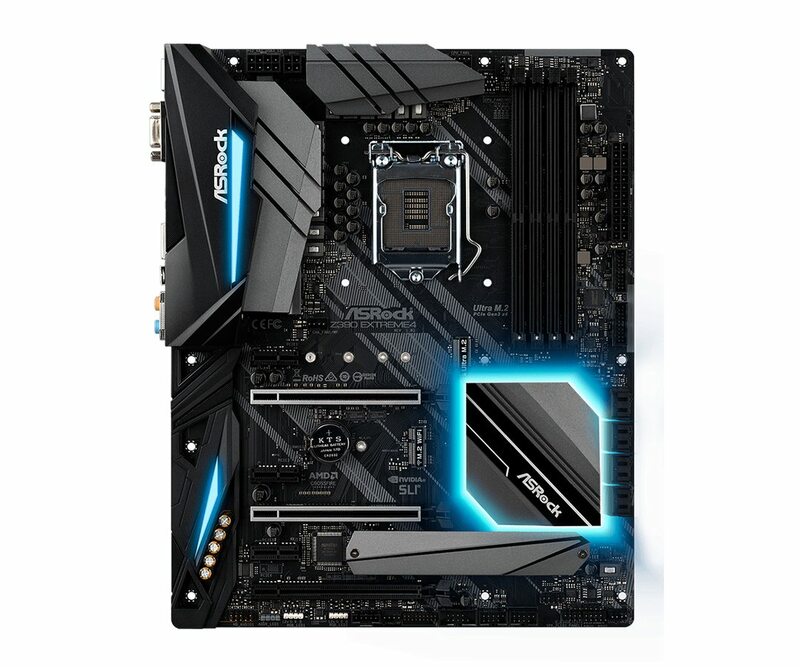 This sub $300 board seemed to be doing our i9-9900K beast CPU justice when gaming, transcoding and rendering. 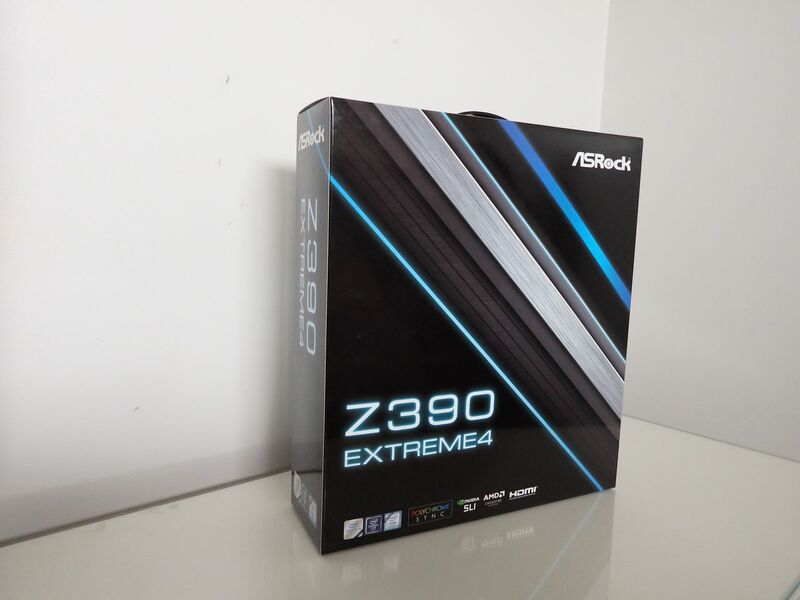 I’d have no hesitation in using the ASRock Z390 Extreme4 in a system of my own if I went down the 9th Generation Intel path. For people on a budget, you should be considering this board on top of your short list. Optional M.2 WIFI that’s easy to retrofit later. 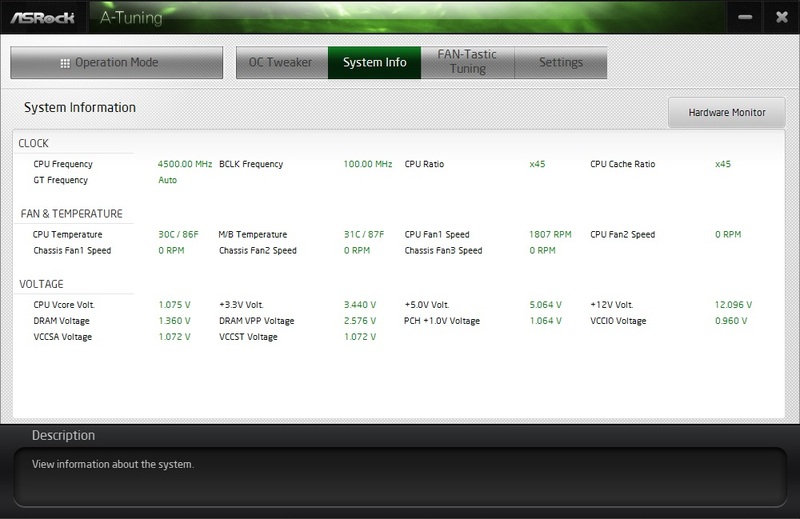 – VRM heat sink can get very warm due to aggressive ‘auto’ performance settings.